Canon Japan has just filed a new lens patent on EF 24-105mm f/4 lens. 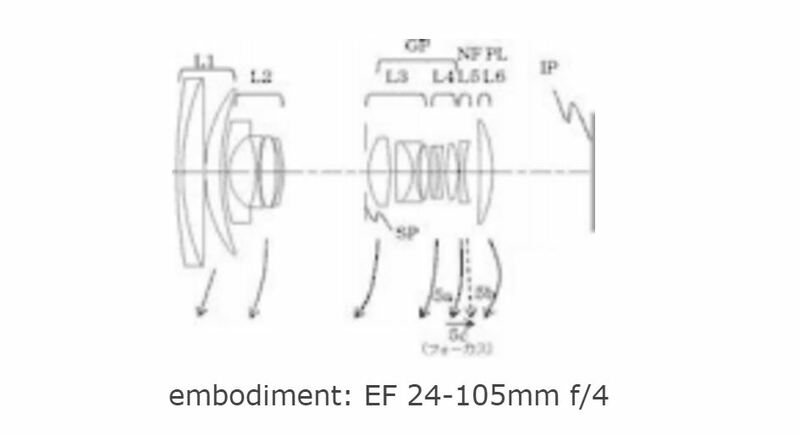 This lens patent could be the upcoming EF 24-105mm f/4L IS II USM lens rumored several days ago. The new EF 24-105mm f/4L IS II USM lens will be coming with 5D Mark IV as a kit lens in late August. Previous Previous post: Panasonic LEICA DG SUMMILUX 12mm f/1.4 ASPH Lens Announced !